Catching the Waterfall — There is no "Away"
While we comb the streets and the beaches with our "clean-up days", and fill up our dirty Debbie Do Good tote bags with the discarded bits of urban and suburban flotsam, the factories are churning out more and more packaging and single-use, disposable plastics than we could ever hope to collect. There's room for improvement with this arrangement. Surely we'll keep picking it up, but we've got to stop making all of this crap out of materials that last forever. I mean, gum in blister packs? Seriously? I can't remember ever giving a moments thought to a stick of gum. Can't remember ever wishing they'd preserve it like space food, and then present it like birth control. Is the humble gum wrapper of yore just too old school? I have a LOT of items in my Top 5 Most Egregious Single Use Plastics List, and in the upper reaches of my top 5, are plastic tampon applicators. Okay, it's a delicate area. But let's be honest, it's not that delicate. We're talking a ten second, if we're being generous, "application" at most. The cardboard applicators aren't like corrugated shipping boxes, they're relatively smooth - but for the fragile flowers among us, maybe use of a personal lubricant to bridge the gap, so to speak. It gets easier with practice. If you're on the fence about it, grab a calculator and estimate the number of plastic tampon applicators you'll use in your lifetime. Then multiply that number by forever because that's how long they'll last in the landfill, and about how long it will take in the ocean for them to break into thousands of tiny pieces called microplastics, from constant exposure to the sun, salt water, and waves. Maybe it's supposed to look like a party favor because there's confetti inside. You got your Period!! CONGRATULATIONS!!! This is clearly something very important to our modern culture, it needs to be used only briefly, but here on the planet forever. We can't be messing with wooden toothpicks like we're Paul Bunyan or something - let's be civilized. 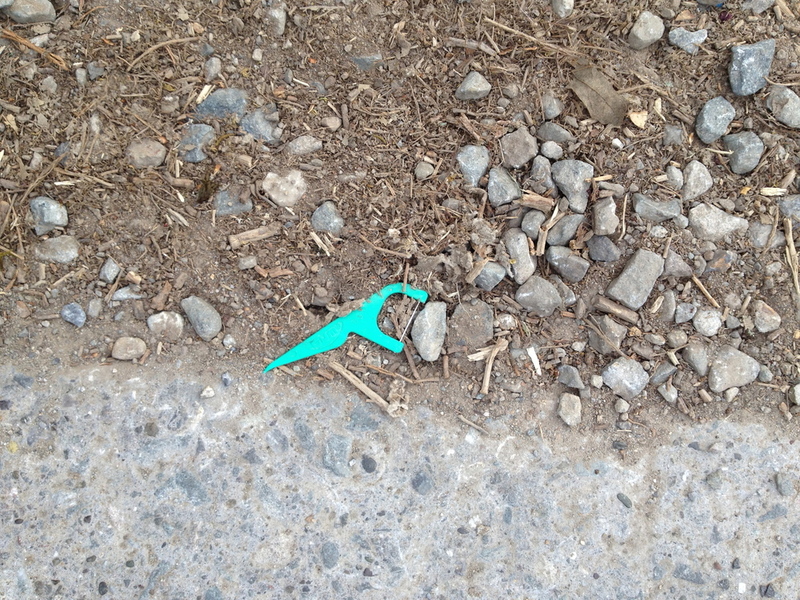 I believe it is customary to immediately discard the picks on the street as soon as they come out of your mouth. When you throw them down near cigarette butts, they blend in. Imagine my relief when I spotted these Floss Pick CONTAINERS at the Container Store! 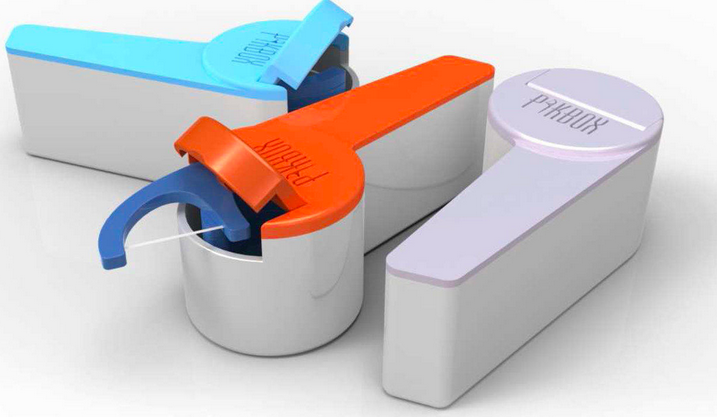 It's a plastic case for your Floss Picks - AHmazing. You know you'll have this forever and ever. Here there are on the PikBox website - Operators are standing by - Seriously, they want to help you organize your purse.